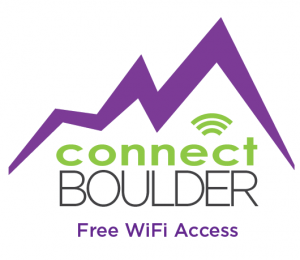 The City of Boulder is pleased to offer fast and free Internet access in the Downtown Civic Area. Hook up any device – a laptop, smartphone, or tablet – and surf all you like. Check email, get the latest headlines, write a blog post, or watch cute cat videos – it’s all available from Connect Boulder! 1. Go to your device’s wireless configuration settings. 4. Browse to your heart’s content.